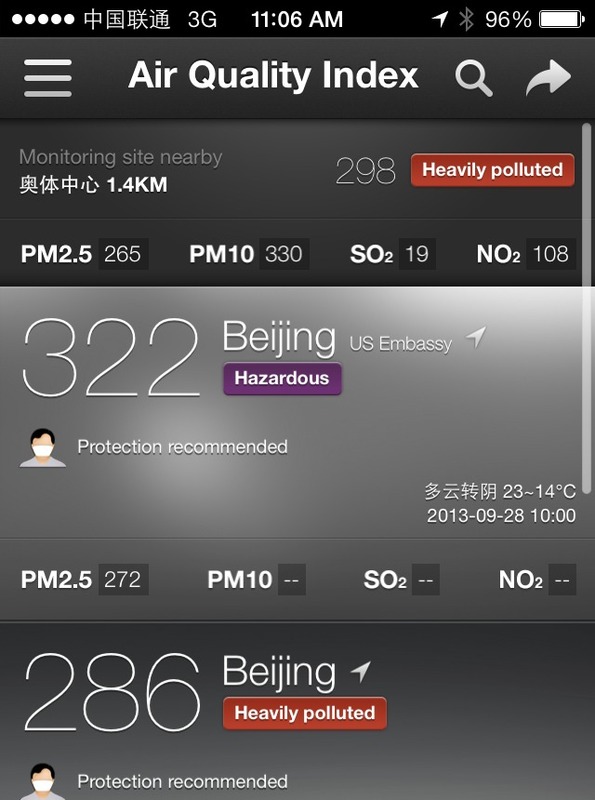 « Day 118 in Beijing: HSR and Expatriates. 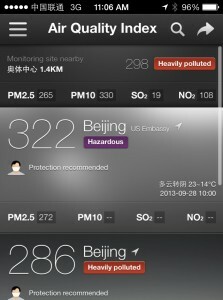 Day 119 in Beijing: The Wonderful Taste Of Coal On My Tongue. You don’t want to go outside on days like today. Well, it seems to be happening. 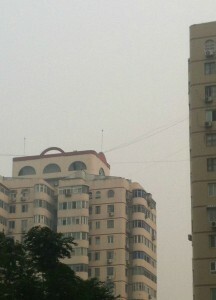 The pollution is getting worse. 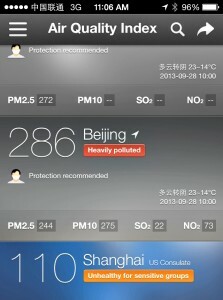 This seems to be an annual occurrence in Beijing. Jill and I were walking around last night and I felt a very strange sensation. I tasted coal in the air. I lost my sense of smell when I was four years old. My father had a position at Hewlett-Packard that allowed him to move to our family to Scotland for one year and switch homes with a Scottish family that wanted to be in the United States. Earlier in the day. 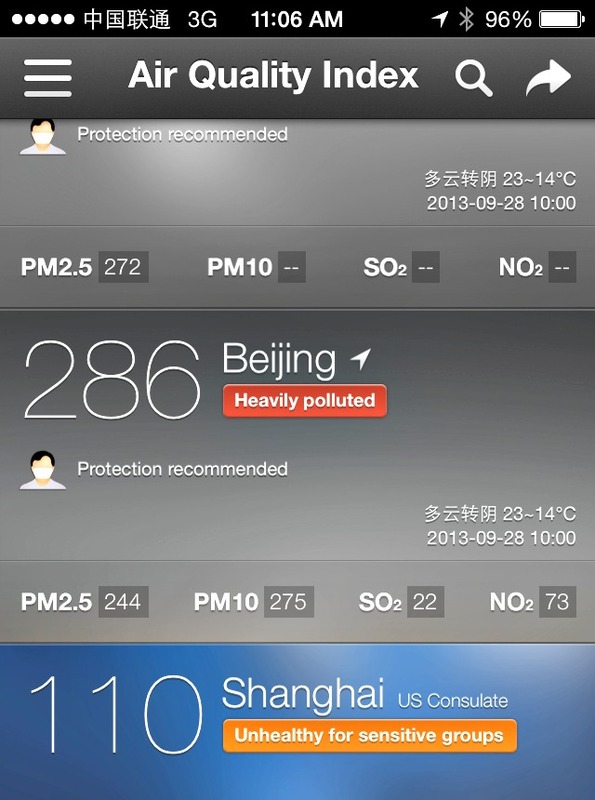 Notice the difference between Beijing and Shanghai. A very cool idea and, in a way, both my brothers and I have all lived overseas at some point in our lives so far. David and I have done it numerous times while Robert has now lived in China for 6 years. Stacy doesn’t seem as interested in living overseas, but who knows what the future will bring? Anyway, we were coming back home from an event and we were involved in a horrific car crash. The head injury I received caused me to have two different brain surgeries and, as far as they can tell, the only real lasting effect is the loss of my sense of smell. My eyesight is 20/10, which allows me to see the smallest letters on the eye test chart with ease, my hearing is fantastic, and my sense of touch is normal. I believe my sense of taste is about 60-70% of normal but I’ll never know because I can’t really compare what it was to what it is now. A Hazy Shade of Winter…but it isn’t winter. All in all, not a bad trade off compared to what I could have lost or if I had died. Anyway, I don’t remember the last time I “tasted” smoke or something in the air. It was a very strange sensation and I had to ask Jill if she also tasted smoke. She said she did and it became a fleeting, yet sobering, thought that we will probably be enduring this for the next few months since the winter is supposedly much worse than the Autumn weather we are experiencing currently. We aren’t wearing masks yet but will probably buy some. There are tiny nose plugs, almost like the nose plugs people wear when they swim, and we might try those as a friend has given us a couple and he swears by them. This, so far, is the only real negative I’ve found to living in Beijing. We’ve read that each day living here is equal to smoking 1/6 of a cigarette a day. I definitely worry about when the Air Quality index goes above 450 as it did last winter.